Overview: This qualification provides the skills and knowledge for an individual to be competent in a range of activities and functions requiring basic operational knowledge and limited practical skills in a defined context. Work would be undertaken in various hospitality settings, such as restaurants, hotels, motels, catering operations, clubs, pubs, cafes and coffee shops. Individuals may work with some autonomy or in a team but usually under close supervision.The qualification is suitable for an Australian apprenticeship pathway and for VET in Schools delivery. 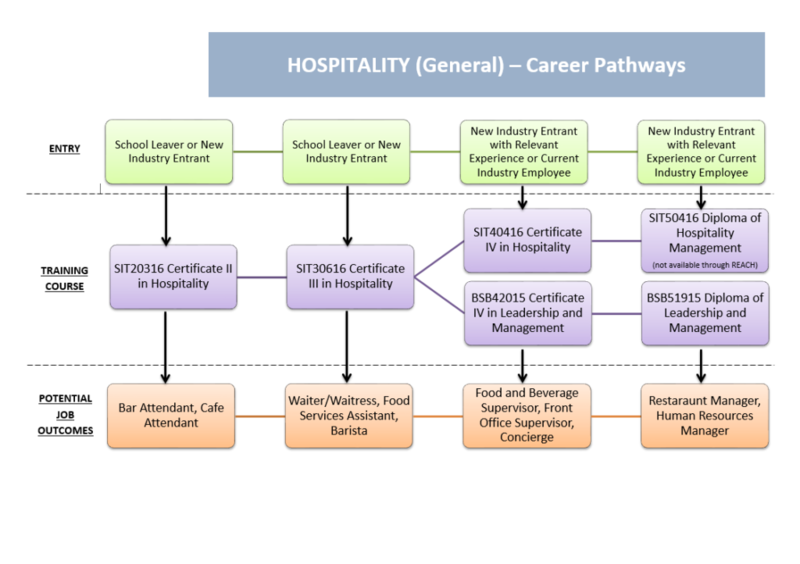 Upon Completion of the qualification you may proceed to SIT30616 Certificate III in Hospitality. Work Placement: 40 hours work placement within a Restaurant, Cafe is compulsory for this qualification. Work Experience Insurance will be provided by REACH for Training.